My name is Jen, Me on my Advanced Open Water CourseI’m 18 years old and graduated high school last year (2013). Earlier that year, my parents both really got into the sport of diving – dad used to dive a lot but mum was a newbie – and as a bit of motivation had me booked in to do my open water course the week after my HSC exams finished. I’ve always been called a “water baby” and lived up to that name after falling in love with diving after just a few dives. Unfortunately, though, months passed and I did not dive again. After being accepted into university for Speech Hearing and Language sciences, I thought I had finally decided what my future would be, only to find that I felt disappointed by mental images of settling for an “office job”. That was the moment that I knew I would never be fully satisfied until I had pursued something I truly loved…Profile Questions What do you love most about diving? When you dive, you enter a whole newworld. You aren’t in your habitat anymore; you’re just a strange visitor in the eyes of the marine life. It makes you feel so insignificant (in a humbling way) in that we have so much to learn about the planet we live on – and I get this feeling even at depths of just 8 metres! That feeling of discovery and all the endless possibilities of diving are what make me love it. What is your favourite type of diving? I could be diving in a mud pit 2 metres deep and still have fun. So far my favourite was visiting a reef about 30 metres down where everything is so calm and clear it was amazing. However I still have to try wreck diving, cave diving, tec diving.. free diving… drift diving…. diving with a scooter….. Hmm. What has been your favourite diving course so far and why? No doubt about it my rescue diver course was my favourite. I think it’s the most informative yet fun course you can do. Learning how to deal with many different confronting situations made me have so much more confidence in myself as a diver, and watching yourself and your group overcome specific challenges is so rewarding. Why do you want to be a PADI Instructor? Being a PADI instructor is recognised worldwide! Plus I always knew I wanted to be a teacher of some sort, but going back to school to learn how to be a teacher just to go back to school to be a teacher did not appeal to me. Combining a few of your passions into one job is crazy hard for some people but it’s happening to me right now. I get to be in the water, talk all day, meet new people every day and teach people something completely new to them. That’s awesome. Why did you choose Abyss to do your Instructor training? In the two days of my open water course, it became clear to me what an amazing shop this was. Everything ran so smoothly and efficiently, the staff were amazing teachers but also had so much fun with you and made you feel so comfortable, as if it was all so easy. 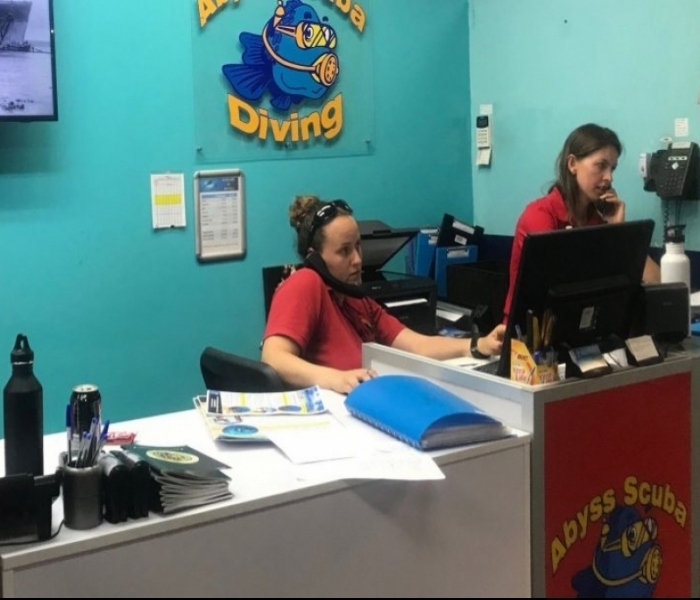 When I decided to be a dive professional there was one main reason to choose Abyss; if I was going to be the best I had to learn from the best, and I really do look up to every one of the staff members there and aspire to be as successful in this field as they are. Many people assume my goal is to be living the dream on an island resort, but as much as I love travelling, I can’t really imagine living anywhere in the world other than here in Australia. So what I see for my future is working in an Australian dive shop being one of those super knowledgeable locals to help all the tourists out. This is not me saying I don’t want to travel, of course I want to experience diving all over the world, but in the long run I think I’ll just be happy to settle here. What is Jen doing now? 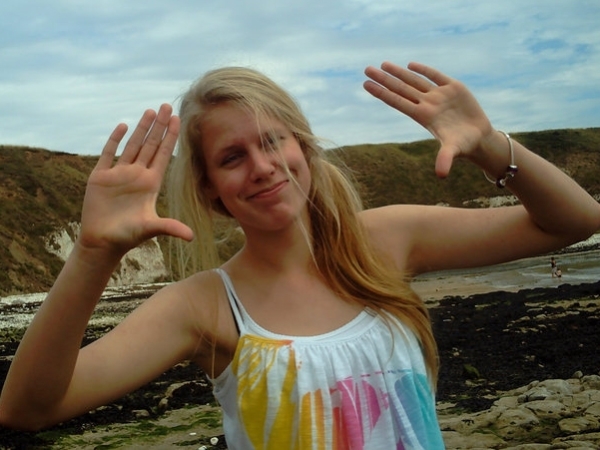 Jen has got a full time job as a Dive instructor with Abyss Scuba Diving and work there teaching for 12 months. While at Abyss Jen qualified as a PADI Staff Instructor. My name is Jen, Me on my Advanced Open Water CourseI’m 18 years old and graduated high school last year (2013). Earlier that year, my parents both really got into the sport of diving – dad used to dive a lot but mum was a newbie – and as a bit of motivation had me booked in to do my open water course the week after my HSC exams finished. I’ve always been called a “water baby” and lived up to that name after falling in love with diving after just a few dives. Unfortunately though, months passed and I did not dive again. After being accepted into university for Speech Hearing and Language sciences, I thought I had finally decided what my future would be, only to find that I felt disappointed by mental images of settling for an “office job”. That was the moment that I knew I would never be fully satisfied until I had pursued something I truly loved…Profile Questions What do you love most about diving? When you dive, you enter a whole new world. You aren’t in your habitat anymore; you’re just a strange visitor in the eyes of the marine life. It makes you feel so insignificant (in a humbling way) in that we have so much to learn about the planet we live on – and I get this feeling even at depths of just 8 metres! That feeling of discovery and all the endless possibilities of diving are what make me love it. 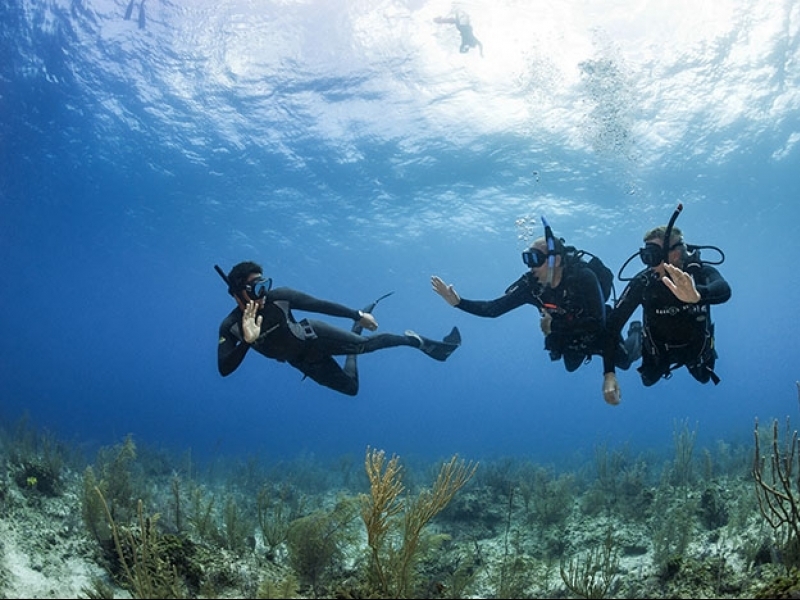 What is your favourite type of diving? I could be diving in a mud pit 2 metres deep and still have fun. So far my favourite was visiting a reef about 30 metres down where everything is so calm and clear it was amazing. However, I still have to try wreck diving, cave diving, tec diving.. free diving… drift diving…. diving with a scooter….. Hmm. What has been your favourite diving course so far and why? No doubt about it my rescue diver course was my favourite. I think it’s the most informative yet fun course you can do. Learning how to deal with many different confronting situations made me have so much more confidence in myself as a diver, and watching yourself and your group overcome specific challenges is so rewarding.Why do you want to be a PADI Instructor? Being a PADI instructor is recognised worldwide! Plus I always knew I wanted to be a teacher of some sort, but going back to school to learn how to be a teacher just to go back to school to be a teacher did not appeal to me. Combining a few of your passions into one job is crazy hard for some people but it’s happening to me right now. I get to be in the water, talk all day, meet new people every day and teach people something completely new to them. That’s awesome. Why did you choose Abyss to do your Instructor training? In the two days of my open water course, it became clear to me what an amazing shop this was. Everything ran so smoothly and efficiently, the staff were amazing teachers but also had so much fun with you and made you feel so comfortable as if it was all so easy. When I decided to be a dive professional there was one main reason to choose Abyss; if I was going to be the best I had to learn from the best, and I really do look up to every one of the staff members there and aspire to be as successful in this field as they are. Many people assume my goal is to be living the dream on an island resort, but as much as I love travelling, I can’t really imagine living anywhere in the world other than here in Australia. So what I see for my future is working in an Australian dive shop is one of those super knowledgeable locals to help all the tourists out. This is not me saying I don’t want to travel, of course, I want to experience diving all over the world, but in the long run, I think I’ll just be happy to settle here. Jen has now left in Cairns and living the dream.